When it comes to Akron transmission repair, our technicians are your local experts. Millennium Transmission first opened in 1998 as a transmission only shop, so we have over 15 years of experience servicing vehicles in our community. Our technicians are ASE certified and can repair and service both automatic and manual transmissions on all makes and models of cars, trucks, and SUVs. From clutch repair to transmission replacement, we will take care of all your needs. In fact, we offer you extended warranties on all transmission repairs because we are confident in the high quality service we provide for your vehicle. Our expert repair facility in Akron should be the only shop you trust for transmission repairs and services. Enhance your engine’s overall performance, driveability, and smooth gear shifting. Your transmission’s acceleration and deceleration will be as smooth and seamless as possible with our exceptional transmission services. Rough Shifting? 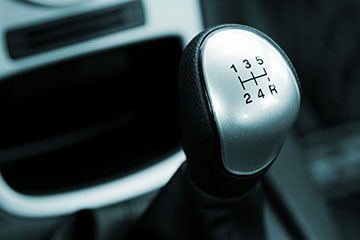 Slipping Out of Gear?–The Transmission Experts Are Here! Transmission repair services can be very complex and costly. Get your transmission diagnosed properly by the experts at Millennium Transmission. We’ve been Akron’s local transmission service experts long enough to know it takes a professional to provide quality transmission repairs and services. Even some professionals will pass on complicated transmission repairs to more experienced shops. Our team is equipped to identify all issues with your transmission’s performance. Misdiagnosis of your transmission can be very expensive. Owners can be unnecessarily quoted for a transmission rebuild or replacement when they only need an experienced transmission technician. Your transmission will only get the necessary repairs and services it needs. We keep an eye on your budget while we perform top quality transmission services. Avoid expensive transmission repairs whenever possible by trusting your transmission services to Millennium Transmission–the best in Akron! We pride ourselves on being the most effective and knowledgeable transmission repair techs in this area. All of your transmission concerns can go away as soon as you schedule your appointment. Millennium Transmission stands behind all of its transmission repairs with a 24 Month / 24,000 Mile warranty. If you are having any transmission-related issues, do not hesitate to give us a call at 330-400-2499! Our team offers the best transmission repair and service in Akron, so you can count on a job well done. Next time you’re in the area, stop on by because we gladly welcome all of our walk-ins!